Since 2001, our staff has been dedicated to caring for your eyes by providing the latest technology and care. Our eye doctors are trained to provide our patients with a wide variety of eye care including comprehensive eye examinations, the largest selection of eyewear in New Jersey, contact lens fittings and medical eye evaluations. Our optometrists are also certified in the treatment and management of ocular disease. Our examinations are customized just for you and your unique eye needs. Deyong’s Eyeworld is conveniently located in Colonia, New Jersey, right next to Perkins Restaurant and Route 1. 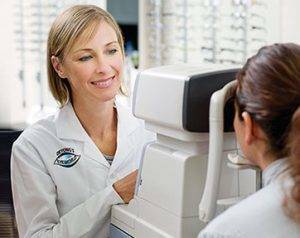 Call to schedule a comprehensive exam with us today to see how we can help you get the best eye care and prescription for your eyes.